If you’re looking for way to reduce your living costs, then swapping your mobile phone contract for a ‘pay as you go’ tariff may be one way to save some significant sums of money month after month. What’s Your Mobile Phone Usage? Swapping a mobile phone contract to a pay as you go may be not be the best move for everybody; the suitability for each type of mobile phone payment depends entirely upon your usage. There are a multitude of mobile phone networks offering a plethora of packages, so it’s worth your while taking stock of your mobile phone usage and considering whether your contract is offering you the best deal for your needs. Tariff comparison tools are a great way to whittle down the large number of contract packages, and may help you decide if a contract is really your best bet. If you make a lot of calls on your mobile phone – particularly during the day or to other mobile networks – it is probably in your best interests to stay with a mobile phone contract. Contracts are also best suited to those who make a significant number of international calls, or use their phone to access the Internet on a regular basis. Contract phones tend to come with tailored packages, with ‘free minutes’ , ‘free texts’ and cheaper Internet access rates included as standard. Conversely, if you tend to make a handful of calls a month, and tend to use your phone to send texts or for ‘emergencies only’, then it’s certainly a good idea to consider cancelling your contract and moving to a pay as you go phone. Many pay as you go tariffs now include a considerable number of monthly free texts and even free minutes each time you top up, giving you an extra incentive to make the switch. 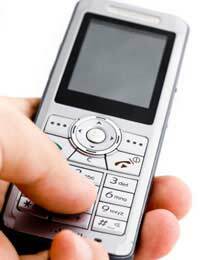 Remember though – swapping from a contract will mean that you may have to give up your mobile phone handset. To start using a pay as you go phone, you need to purchase your own handset - but the cheapest mobile phones don’t always offer the best pay as you go tariffs. Be wary that a seemingly frugal handset purchase could lead to expensive call and texting rates, so remain focused on tariff costs, rather than the price of the handset. Don’t Cancel Your Contract Immediately! If you’re sure that swapping a contract phone to pay as you go is your most frugal option, then you need to consider when it is best to end your contract. As you might expect, most contracts are agreed over a fixed term; ending the agreement prematurely means that you could be lumbered with fees to pay until the end of the term. So before you make the switch, check your mobile phone contract carefully and see whether the amount you will save by cutting short the agreement makes the pay as you go savings worthwhile. It might be best to wait it out until the ‘natural’ end of the contract, or even possible to switch to another tariff with the same network. Swapping your contract phone to a pay as you go phone may, in the long run, save you money, but it’s definitely worth taking your time to find the very best tariff for your requirements.